For many restaurant diners, dessert is an extra — something to indulge in only when you're feeling particularly decadent. But for some chefs, dessert is a passion, a calling, an artform. The term "pastry chef" is slightly misleading. It calls to mind flaky phyllo or sticky breakfast sweets, but encompasses so much more. 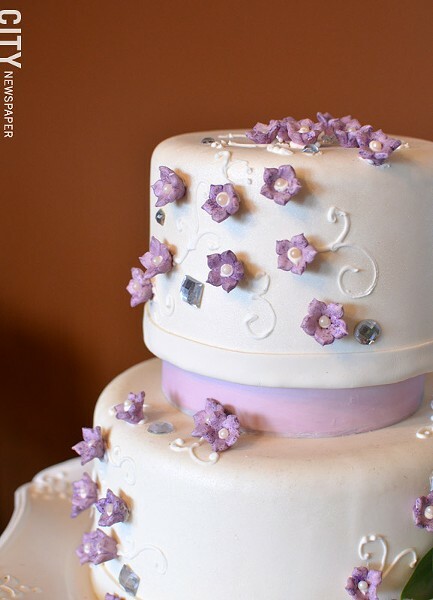 Pastry chefs specialize in desserts of all kinds, including breads and pastries, but also cakes, cookies, mousses, and even ice cream and other frozen treats. There are several routes to becoming a pastry chef or professional baker, and countless examples of them in the Rochester area. It would be impossible to cover all of them in one article, so for this piece we spoke with four chefs/bakers with very different approaches. Did we exclude your favorite? Tell us about them in the comments section of this article, below. One of the key differences between pastry chefs and more traditional chefs is that baking really is a science. For pastries, there is very specific chemistry involved in the mixing of ingredients, and if you get it wrong, the whole dish is off. "As far as actual baking, it's more of a follow-a-recipe thing, as opposed to being a chef, where you can make it up as you go," says Debra Stirone, chef-owner of Gourmet Goodies. "If you overdue it with the baking soda, for instance, you're going to have a very salty product." A cake from Gourmet Goodies, in Victor. Debra Stirone, chef-owner of Gourmet Goodies. Stirone got her baking start by age 8. The Easy-Bake Oven proved too slow for her, so she moved on to Wilton cake-decorating classes. At 15, she was washing dishes at Richardson's Canal House in Pittsford, and worked her way up to cooking appetizers. But she was always interested in becoming a pastry chef. The kitchen at Gourmet Goodies. "I like the decorating," Stirone says. "I like the different aspects where people come in and ask, 'Can you do this?' I get bored very easily. I like different designs and different challenges." After graduating from the Culinary Institute of America in 1989, Stirone began her pastry-chef career at Breakers Hotel in Palm Beach, Fla., before moving on to manage the Paradise Bakery in Hawaii. She returned to Rochester in 1993 to work at the Daisy Flour Mill. 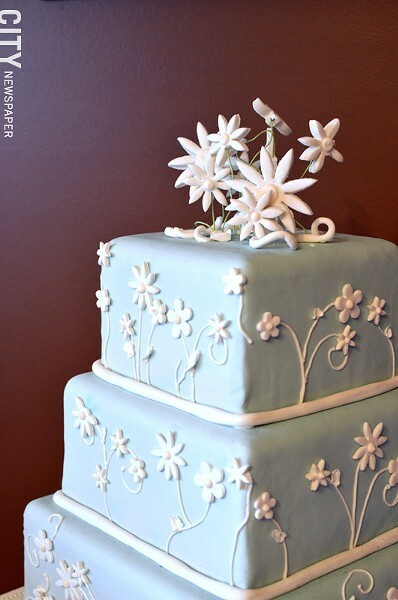 Eventually Stirone opened Gourmet Goodies, which now focuses primarily on wedding and special-occasion cakes. That segment of the pastry-chef business has exploded in recent years, thanks to TV shows like "Cake Boss" and "Ace of Cakes." "Every TV show, they come back to you," Stirone says. "They want what [the customers on the show] have. What people do for first birthdays is crazy." Gourmet Goodies is based out of Stirone's Victor home, although everything is made in a large, certified kitchen. She has two other employees, one also a CIA graduate, the other with an art background. As a team they create everything from mini pastries for corporate clients to massive projects, like a cake replica of the Von Maur store at Eastview Mall that took all three an entire week to bake and decorate. 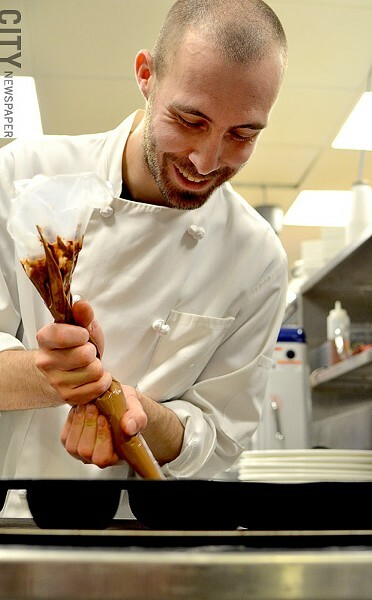 David Baran did not start out seeking to become a pastry chef, but now he loves creating desserts. The pastry chef at Char Steak & Lounge at the Strathallan Hotel became a foodie at age 13, when his family took him for a nine-course tasting menu at Le Bec-Fin in Philadelphia. "It blew my mind as a kid. That's when I knew what I wanted to do," he says. He attended the CIA, but initially wanted nothing to do with baking. "Cookers always talk crap about pastry people all the time," Baran says. "I used to hate baking and didn't have the patience for it. But I saw what people were doing and got interested in it." "I've learned to like baking more than cooking," he says. "You're not on a hot line sweating over people's food. You're not playing with dead chickens, which is not fun. It's a lot better." The smoked chocolate mousse dome with bacon caramel dessert by pastry chef David Baran of Char Steak & Lounge at the Strathallan. 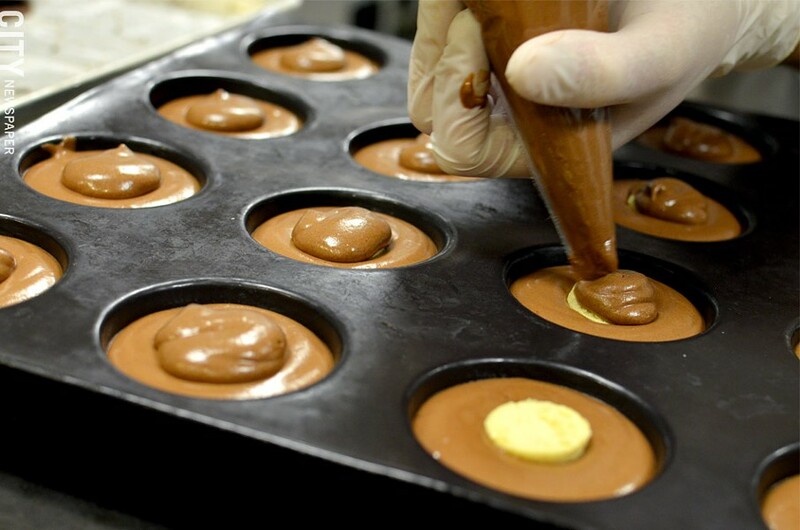 Baran fills molds with chocolate. After graduating in 2010, Baran was hired to do desserts at Warfield's High Point, and then moved to Char. There he oversees all of the lunch, dinner, room-service, and banquet desserts, which include tortes, cheesecakes, and even ice cream Baran makes in house. 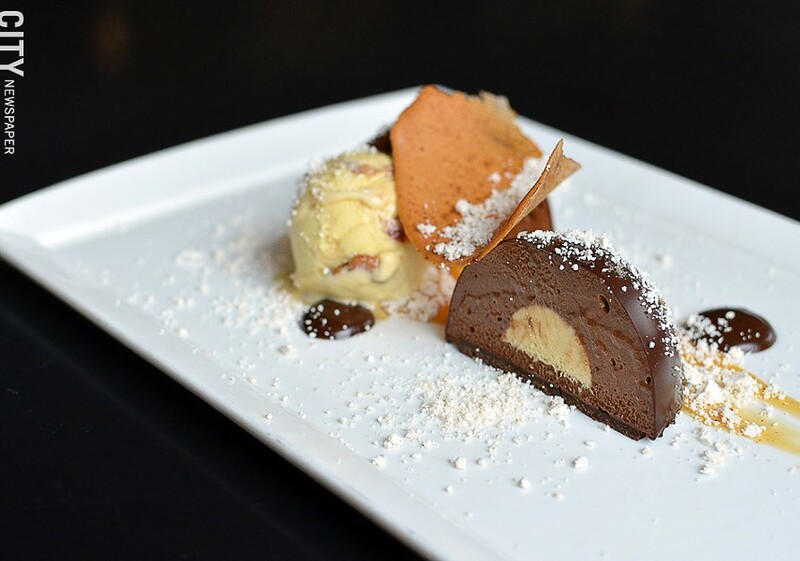 He especially likes making molded desserts, including his smoked chocolate mousse dome with bacon caramel, candied bacon ice cream, peanut-butter-bacon powder, and honey tulle — a creation he originally wanted to title "Gluttony." Baran says that a common misperception about pastry chefs is that they're slow. "Our stuff takes a lot of time to do, and a lot of cooks will make jokes, 'What do you do once you put your thing in the oven?'" he says. "They think we don't get a lot things done. That's not true at all. It's completely different work. It's more scientific. It's more precise. You have to be exact with it or it's going to mess up. Some things you have to take your time on or you won't get the desired outcome." Janice Plant is the rare pastry chef who did not receive formal training. She started baking in her 20's as a treat for the coworkers at her office job. She would bring in cakes and pies, and they would tell her she should make food professionally — so she did. Along with her sister, Plant ran The Ivy Café in Penfield from 1992 to 1996. After that closed, she became an assistant baker at Richardson's Canal House, and she was promoted to head baker. When the executive chef at Richardson's moved to Tournedos Steakhouse at the Inn on Broadway eight years ago, he brought Plant with him. Now she serves as the restaurant's pastry chef, although she downplays the title because of her lack of a degree. 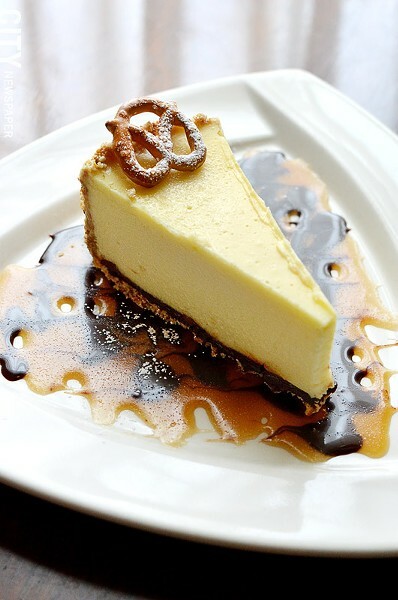 One taste of Plant's desserts — including a dreamy chocolate-pretzel-caramel cheesecake — will tell you that she more than has the goods. 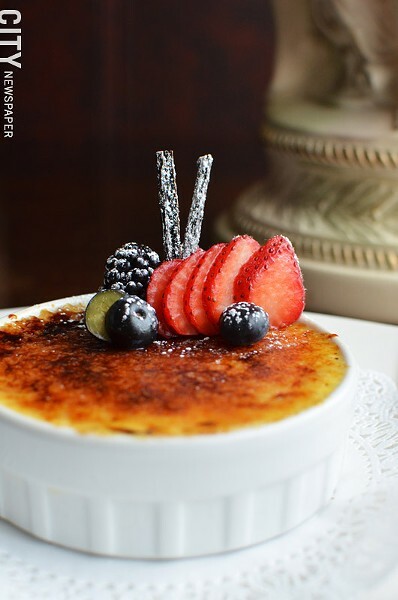 Vanilla bean crème brûlée by Janice Plant, pastry chef at Tournedos Steakhouse at the Inn on Broadway. Cheesecake with a pretzel crust and caramel sauce from Tournedos Steakhouse. 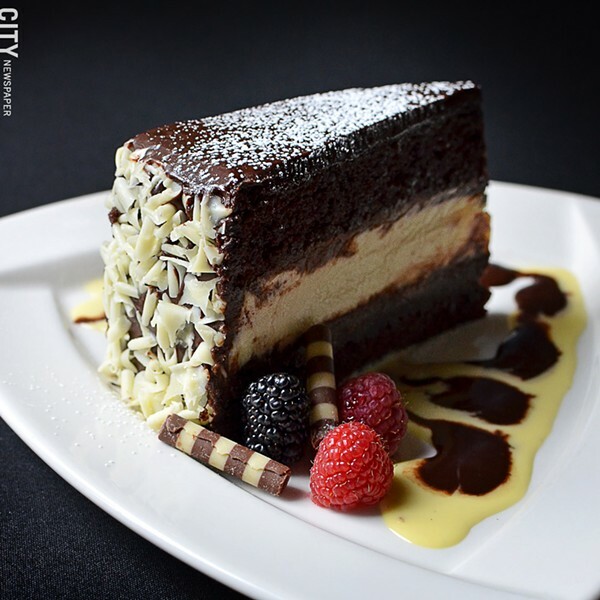 Chocolate Broadway cake with layers of chocolate cake, ganache, and vanilla cheesecake from Tournedos Steakhouse. What first drew Plant to baking was "the gratification you get when people say they love what you do," she says. "As time has gone on my passion has increased, because when you start working in a restaurant, your vision changes a lot about baking." Over her two-decade baking career Plant has come to master cakes, cookies, pastries, rolls, pizza crusts, and breads. "My knowledge has exploded because I've had a lot of very supportive people in my life who have taught me everything I know now," she says. "And I'm still learning." Plant says that anyone interested in baking could do the job professionally, so long as they have the right teacher — and the passion. "You need that. If it's just a job for you, it's not going to work. It's very demanding. You're on your feet all the time," she says. Plant comes in at 6 a.m. and tries to finish by 2:30 p.m. And if there are banquets or events scheduled at the inn on the weekends, she may be required to work then, too. "If it's your own business I can see it being seven days a week, with long hours," she says. 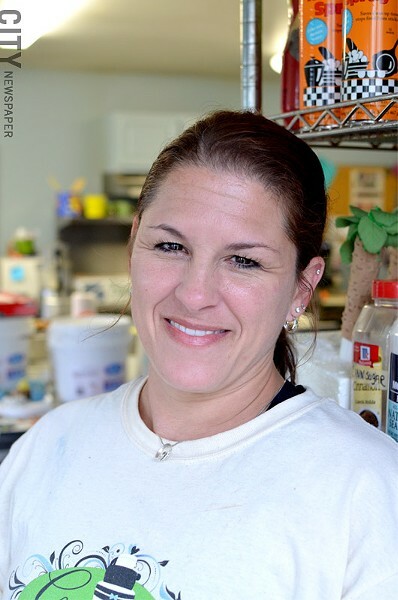 Jennifer Johnson is one self-taught baker who decided to open her own dessert business. 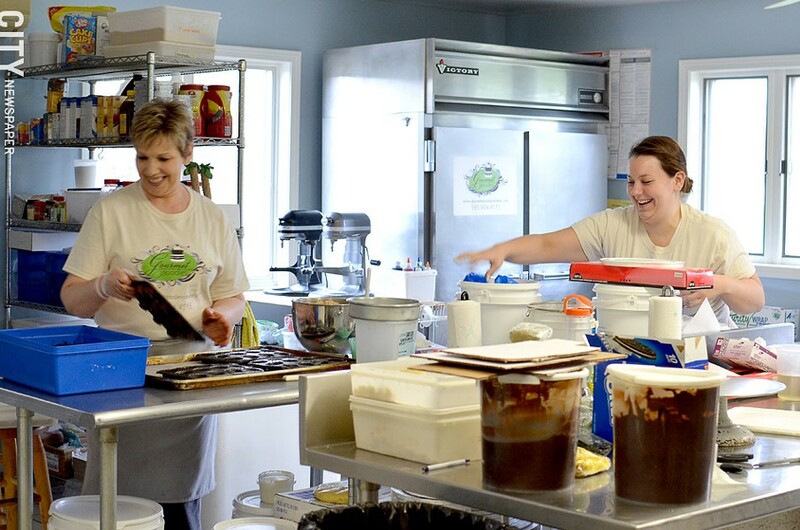 She started Pudgy Girl Bakery in late 2013 to fill a particular niche: vegan baked goods. That means desserts made with no animal products, such as milk, eggs, or butter. But if you taste any of her signature truffles, which come in an array of flavors from red velvet or chocolate mint to peanut butter or chocolate stout, you would never know the difference. Johnson went vegan three years ago, and initially patronized the vegan-oriented Eco Bella Bakery in the South Wedge. But after it closed, she started to veganize her own recipes. For a time she made desserts for the Owl House but went out on her own, renting a commercial kitchen on East Avenue. Currently her truffles are sold at Starry Nites Café and her products are set to be sold at the soon-to-open Hart's Local Grocers on Winthrop Street. In addition to being 100 percent vegan, Johnson says all of her recipes can be made gluten-free. Although veganism is growing, she still finds herself having to educate many potential customers. "In a way there's a little bit of a stigma that comes with being a vegan baker," she says. "There's a whole lot of curiosity, but also a sense of skepticism that comes with it. 'You don't use eggs? You don't use real butter? What do you use instead? Does the stuff still taste as good?'" Still, Johnson says she has been overwhelmed by the response to her products over the past seven months. And like Plant, a big part of the allure is the appreciation she receives, especially from fellow vegans who have relatively few dessert options. "I really feel that sense of gratification when I can make someone's day a little brighter by sharing one of my delicious treats with them," she says. "And the gratification is immediate. When you make that connection with someone, it's really genuine. I really feel like I'm serving a community that's underserved right now." 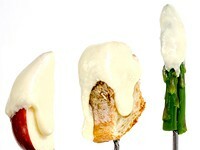 Past its heyday in the late 60's to mid-70's, Americans haven't regarded fondue with much familiarity or respect. 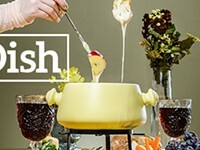 Beyond the confines of a great aunt's holiday gathering, a chain restaurant charging an arm and a leg for melted government-grade cheese, or a party with an ironic menu (and PBR as the beer of choice), maybe you've haven't had, let alone made, fondue. 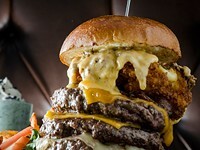 As I prepared to encounter the first of three food challenges at three different Rochester area restaurants, it occurred to me: I love food and I love to eat, but for me, eating is more about frequency rather than amplitude. Even though the goal was to simply savor the experiences — this would be merely an exhibition, not a competition — intimidation set in.